Those “final episodes” aired on TV in 1978. But instead of ending, Columbo kept coming for 25 more years. The last one ran in January 2003. Altogether, the show aired over 32 years; 35 counting “Prescription: Murder,” made in 1968. One half the biblical “three score and 10” is not, well, half-bad for TV. 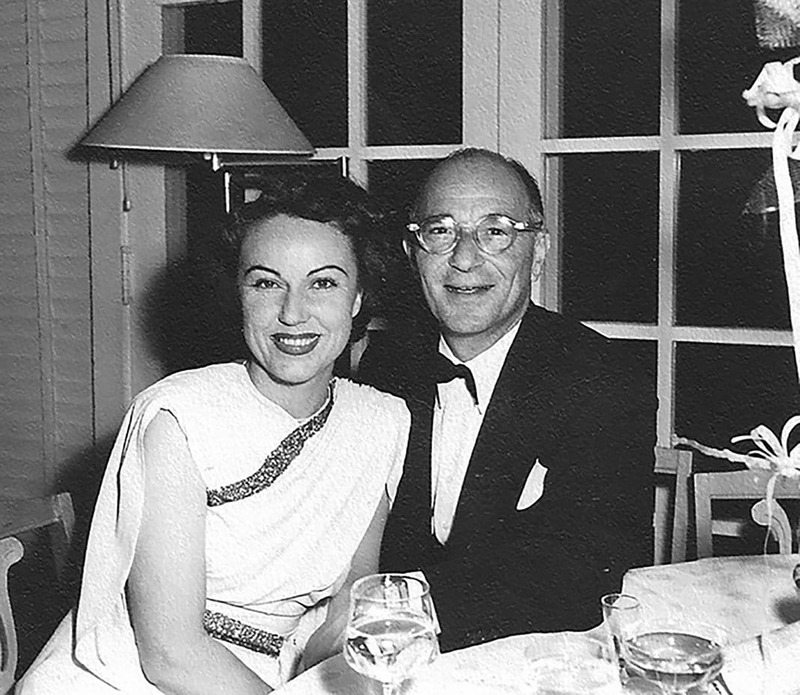 And the Levinson & Link character is even older, dating to a mid-1960s play, and a single episode of a different TV show, with a different actor, in 1960. By then the man who would become iconic — Peter Falk as Lt. Columbo — had already been nominated twice for an Academy Award. So the show began before I was born, the play is older than my parents’ marriage, and even my dad, who introduced me to the 1970s TV series when I was in elementary school, hadn’t himself graduated from high school by 1960. Why then do I watch? When asked why they watch, most people say something about the character of Lt. Columbo. As so many of the episodes are quite similar to each other — through 35 years of episodes, we’ll see recurring set-ups, returning guest stars (as murderer and/or victim, or even in supporting roles), and sets and backdrops used over and over — this makes sense. After all, if the shows are mainly the same, it’s the character we’re going to be interested in. And people care about people. So even if it’s the same Universal Studios backlot — where the show was made, and which often played its own role in episodes — and even as we attend a class on the social history of the 1970s, it’s not exactly the same Lt. Columbo. The character develops. So one thing we’re saying is it’s not just the character “Columbo” but the character of the man. He was Everyman … putting away murderers. Of course, there have also been grievous mistakes in supposing why he’s so popular. The emphasis is in the original. And it’s not true. That’s not why we’re satisfied and not why we connect with Columbo the show or Columbo the man. The point is not they don’t deserve it. If we thought that, we’d be judging the killers based on their wealth — supposedly something they do to us. The point is even the rich are subject to the same laws, moral or otherwise, as we are. 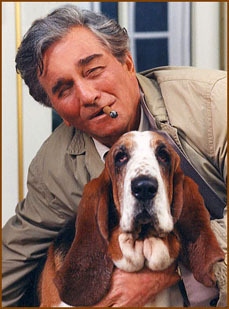 This isn’t to say the rich don’t get away with it in real life; in fact our love for Lt. Columbo affirms this. Because on the show, they don’t get away with it. Most of us do not begrudge people their money. In fact, in the good news / bad news department, we aspire to it. But we don’t want them to receive special treatment because of it. And yes, we’ve been known to give them that special treatment ourselves … and yes, we want that money, along with a special life, too … if we ever get that cash. But the show is there — the lieutenant is there — to remind us it’s wrong. We don’t care if they own a BMW. But. If they push it off a cliff, with their spouse (already dead) behind the wheel, and pretend it was a kidnapping gone awry, and try to weasel their way out of it, and lie like a bad toupee — we want the bastards nailed. I now have the entire collection, all 35 years, nearly 70 episodes in all, and I’ve seen each of them at least twice, most of them more than that, and a few favorites nearing 10 times apiece. For my book (details below), I watched every episode in Season One again, and then again. I must confess — it is after all an essay about the truth and its tendency to will out — that this got harder, as I went. 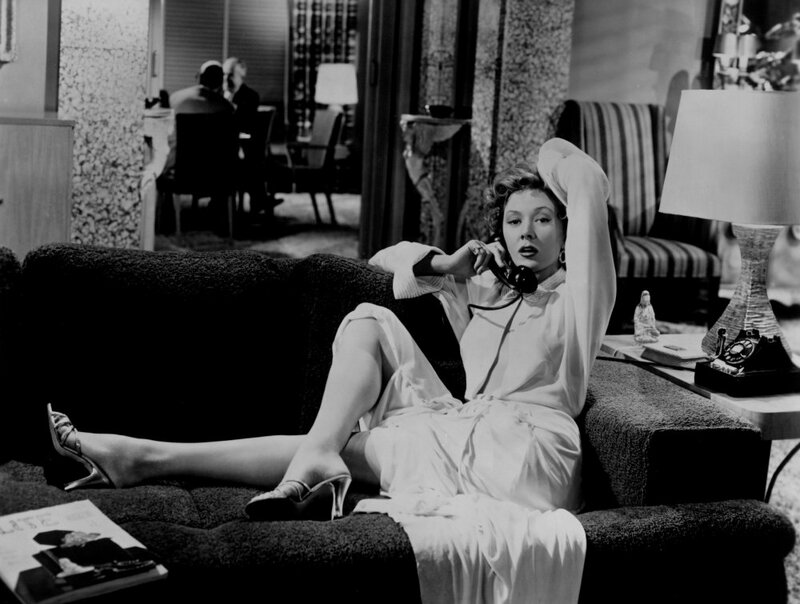 Because in watching closely to write the best guide I could, I had to look at the shows — writing, acting, and even Mr. Falk — differently. Among other differences, I looked more closely. And at a few points I grew weary; there was discomfort and dreariness. But the tighter angles and heavier analysis also showed me why we watch. Why we watch at all, and why we keep watching — and why it matters — even if we can’t say why, and don’t need to know to like it more and more each time. The qualities that draw us in, and keep us there, are the ones that bloom, that burrow deep, without our even noticing. The Columbo we love — and the Columbo we love to watch annoy hell out of the murderers, until some of them beg to be caught and taken away just so the questions will stop — all of it stems from the deep truths of stories — and about human nature itself. There’s the restoration of order of course, order of many kinds, and there’s the reminder to the rich that the rule of the universe is you get what you need not what you think you deserve and that even money and power and your supposedly foolproof plan cannot protect you, if you kill. 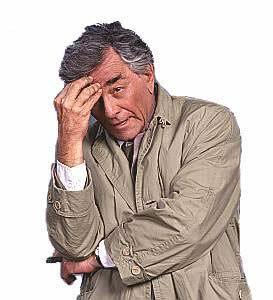 There is how Lt. Columbo solves the crime, which we the eyewitnesses have seen: namely by gamely paying attention and asking questions. Those are deep practices not unrelated to love. There is also his essential kindness: how even when he’s tracking the killer — even we know he knows and that realization is slowly dawning on the murderer, too … he’s unfailingly … nice. He is nearly unfailingly good. Lt. Columbo is — to use words said to be more in demand today than 40 years ago, but that are actually ever-welcome — genuine, authentic, and real. He actually is intrigued (to take an actual example, from Episode 1:2) about what to do when decorative soap sticks together after it’s used. When he notices stuff it’s not that he’s being annoying, or that he’s weird. These are quirks, odd, whatchamacallit … idiosyncrasies … even to us … but that’s because we’re not that consistently questioning, caring, and kind. I think he truly is intrigued, curious — even at times in wonder — about such things. When in every episode, every … single … one … he notices at least a half-dozen details, niggling crummy little curiosities, it’s because he really wants to know. Of course — at times he’s showing the murderer the game is not only afoot, but that it’s almost up. But he also knows life isn’t like that, or shouldn’t be, and what we just saw just doesn’t fit … and why not? He knows it should be otherwise, and if it’s not, something’s wrong and needs to be righted. And of course it’s because the account of life the murderer gives — from who they blame for all their ills, to what they say, to how they leave the crime scene, to how they behave afterward, and the explanations they give for all of this — is utterly false. The reason it works is because it’s true and real and deep. And this is possible because the writers knew — know — Lt. Columbo, and everything about him. The facts aren’t as important as the truth. There are inconsistencies over the series in the show’s telling of the man: whether he can cook, let’s say, whether he drinks, and even about his beloved missus. But the truth, as ever, lives on well past the facts. 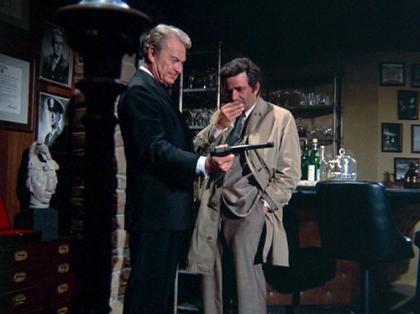 The writers know everything about Lt. Columbo … Peter Falk knew … and now, at any time, we can too. Peter Falk died June 23, 2011. The obituaries began June 24, 2011 — my fifth wedding anniversary. 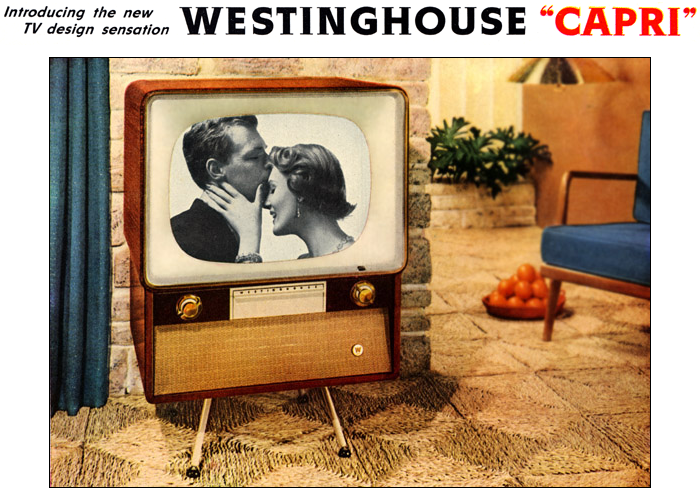 Still married and still watching, I also confess to liking 1970s episodes the most: the ones I saw as a kid, the ones with all the kitsch. I may simply be too close to episodes from the 1980s and 1990s: too close to the parachute pants and mullets, too close to the techno-music. Maybe an overacting killer embarrasses me when it’s from the years I came of age. The 1970s just seem more like fun. 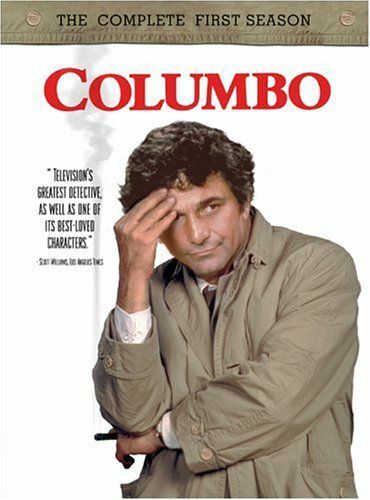 And Columbo is a joy to watch, no matter what the year. And that’s why we do. Paul Hughes is a writer in Southern California. You can connect with him on Twitter. This essay is excerpted from The Columbo Case Files: Season One. Thank you for reading. 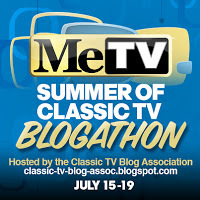 This post is part of Me-TV’s Summer of Classic TV Blogathon hosted by the Classic TV Blog Association. 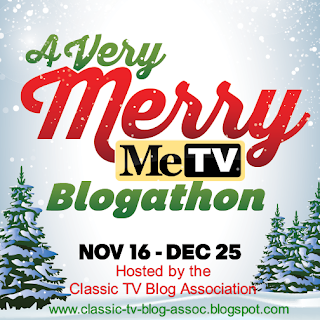 Go to the Classic TV Blog Association to view more posts submitted in this blogathon. You can also go to Me-TV Network to learn more about Me-TV and view its summer line-up of classic TV shows, which includes weekly doses of Columbo. This is a beautifully written post. As a classic TV fan, I’m ashamed to admit that I’ve seen very little of Columbo, but your analysis has inspired me to rectify that. Glad you like this, Amy. Paul did a great job with this. A very interesting analysis of what made COLUMBO popular! For me, it starts and ends with Peter Falk, a fine actor who was a master of the throwaway question (how many times did Columbo starts to walk out on a suspect, only to turn around and ask the big question?). I’m glad that you mentioned PRESCRIPTION: MURDER. If I recall, its murderer was Gene Barry, who starred in BURKE’S LAW…which was also reviewed as part of this blogathon! I love the approach taken here–answering the ‘why’ on a popular TV series. Now if we could only come up with a definitive answer for ‘how’–we could see more great TV being made more regularly–and I could be a millionaire!! LOL. Great essay. Thanks. Very interesting, Paul, and very thoughtful. I particularly appreciated your comment about Columbo knowing that something’s wrong and needs to be righted. Very much in keeping with Dorothy L. Sayers’ view of the mystery as a moralty play, with justice being something that must be dispensed. I, too, love Columbo. I watched the series while I was growing up, caught episodes through Netflix, and just bought the boxed DVD set on Amazon while it was on sale for $52. Now I’m watching it again–end on end. When I take a break and watch a current tv show, I’m always struck by the breakneck speed of the shots (which often covers up poor acting and never allows the audience to *think*), the rapid fire dialogue (which often makes up for lack of depth in the characters), and the thin plots (which allow me to forget them the minute I turn them off). Then it’s back to Columbo where I enjoy a slower-paced, character-based series that relies on chemistry rather than hand held camera work. I also enjoy seeing the celebs trip their way through this classic. 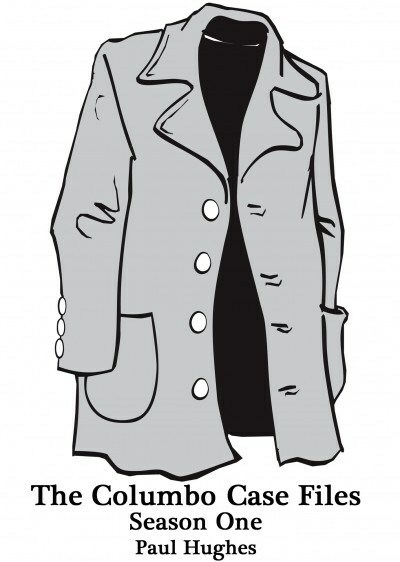 Columbo? Even when it’s mediocre, it’s still pretty darn good. Oh, and a side note–Columbo is much more palatable for families. There may be a death, but there is no overt bloodshed and the death count is often 1 per episode–not a death per minute like many of today’s shows. The fact that the Columbo character speaks about his wife with love in his voice, often seems to care about witnesses, near-victims, and even the murderers, and is a dog lover helps us see that you can solve crimes without slapping people around. It’s a joy to watch!